The AA-TG is an accessory input module for the AA120M. 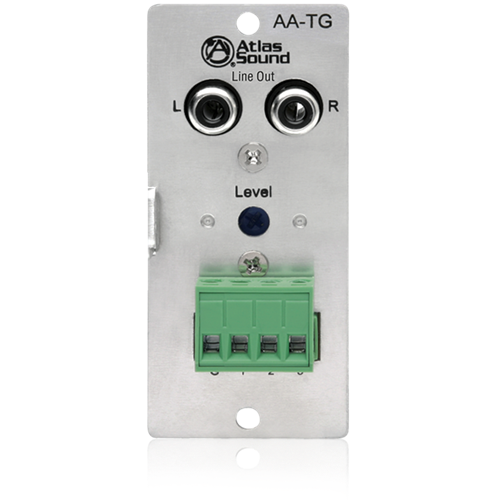 When inserted into the A120M it can be used to generate three different tones or chimes. 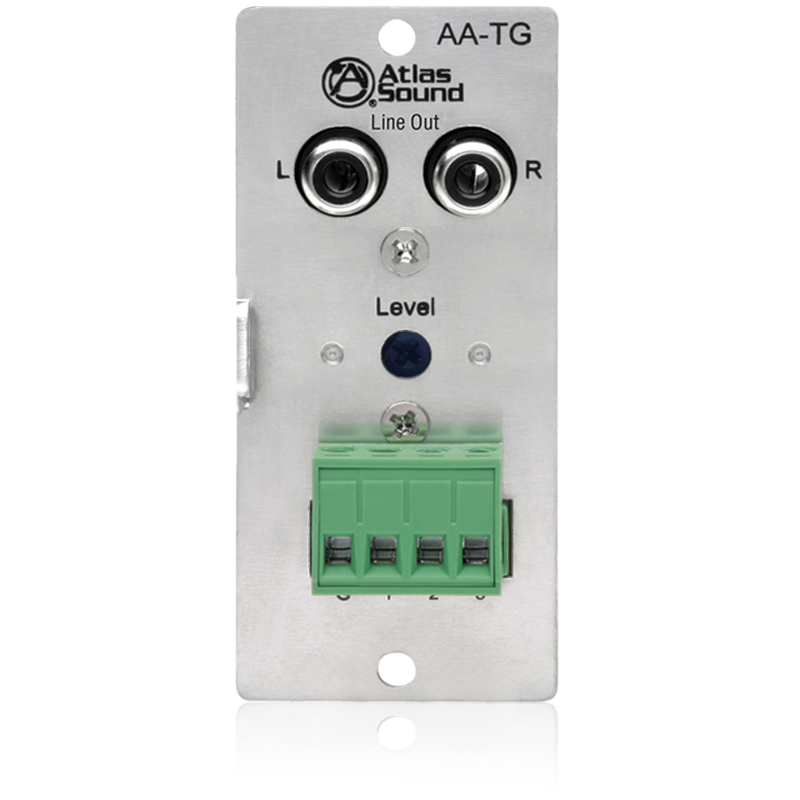 It is activated via an external contact closure. 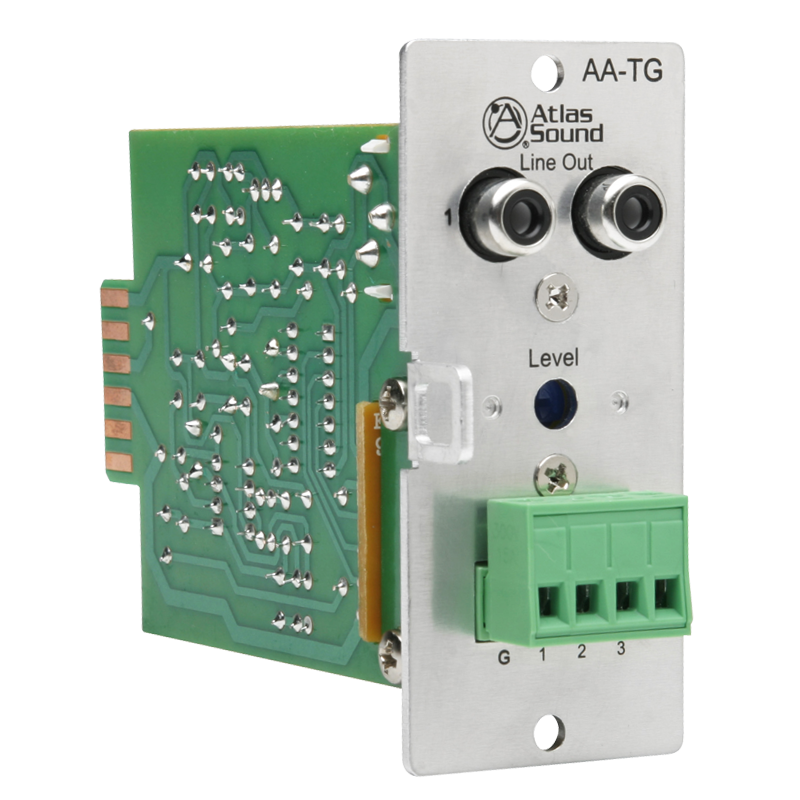 The AA-TG also has a line out, making it easy to feed signal to another amplifier.